These ceiling or wall mounted units can be manufactured in a range of materials including 304 stainless steel, 316 stainless steel and painted mild steel among others to suit your application. 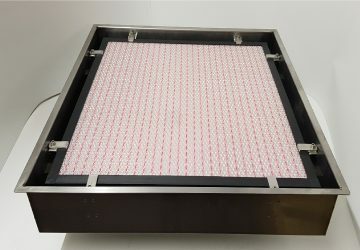 The filter insert can offer a range of filtration efficiencies as required by your application. Our Particle Filter Selection Guide can help you decide which option might be most suitable and the range of particle filter options are in the Documents section.